posted on Tuesday, December 05, 2017. 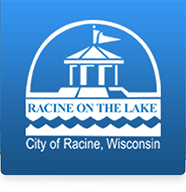 I'm with the SafeHome.org Communications Team and wanted to let you know that the City of Racine made our 2017 list of the Safest Cities in the US and ranked No. 21 in Wisconsin (see here: https://www.safehome.org/safest-cities/WI/ ). This is something your city should be very proud of and we welcome you to share the news (more details on that below). Background on the study: There have been similar studies in the past, however we went a step further and used a variety of data sources and combination of the FBI's latest report of how many and what types of crimes occurred, crime trends and other data points like law enforcement officer ratio, demographics, population density, unemployment rate, income, education level etc. to come up with our scoring. Learn more about the depth of our methodology here .